Nestled at the foot of the Blue Mountains in the southeastern corner of Washington State, the area that would become Walla Walla was the home of the Cayuse, Umatilla, Walla Walla, and Nez Perce Indians. Fur traders and missionaries began to carve out settlements in the early 1800s, but with the lure of nearby gold in the 1860s, the landscape was soon dominated by commercial, banking, and manufacturing enterprises. As the boom ended, the resilient residents of Walla Walla turned to farming, and today, sweet onions, wheat, grapes, and other agricultural products continue to play an important role in the local economy and the community's unique identity. 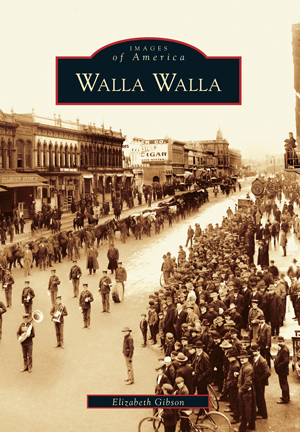 In this captivating volume, more than 200 vintage photographs-gathered from such local archives as the Fort Walla Walla Museum and the Penrose Memorial Library, as well as from the private collections of local businesses and residents-tell the singular story of Walla Walla's development, from its beginnings as a fur trading fort to its acquisition of the state penitentiary, from its beautifully restored downtown district to its fame as the home of Walla Walla sweet onions. Providing informative captions along with striking images, author Elizabeth Gibson pays tribute to this one-of-a-kind city and showcases Walla Walla's rich historical legacy.